If you made some financial mistakes last year, think about 2014 as a “do over.” Now, while the year is still young would be an excellent time to make some changes that will boost your financial bottom line. Of course, before you can begin to slash your spending, you need to know where your money’s going. If you don’t already have a budgeting tool, you need to get one such as Mint. It’s free and is available for use on your computer, iPhone or Android-powered device. The best thing about Mint – other than the fact it’s – free – is that all you’re required to do is type in all your account numbers – those of your checking and savings accounts, credit cards, etc., and Mint does the rest, bringing all your financial information together so you can see exactly where you stand at a glance. Mint will even organize your spending into budget categories and then send you an email alert if you overspend in any of them. Once you get a budgeting tool, you will need to make a note of all your spending for at least a month, right down to that soda you purchased at work. You may have hard that old cliché that all you have to do to get your finances under control is just skip that morning latte. However, this doesn’t work for everybody, especially people who never have a morning latte. 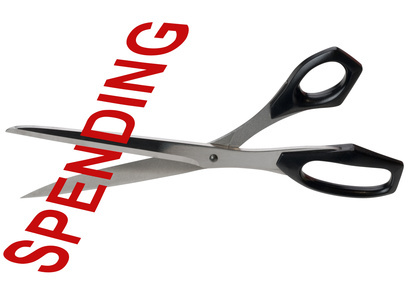 But here are 13 things that most people could do to save money and avoid overspending. Most of us tend to eat out too frequently. Suppose you’re a couple and eat out three times a week and spend $30 each time. That’s $90 a week, $360 a month and $4320 a year. Stop and think what you could so with that $4320 – like a nice two-week vacation. Anyone can cook and the Internet is replete with recipes for good-tasting meals that aren’t that expensive to make. We read recently that you really don’t have to pay full price for anything anymore and this is certainly true of groceries. 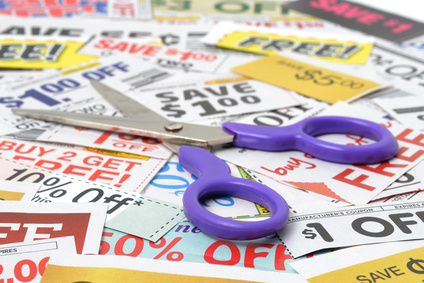 You could go online to sites like www.coupons.com or www.couponmom.com and find coupons that would save you money on just about everything you buy at the supermarket, especially cleaning and personal care products. You should also get a loyalty card from your favorite supermarket. We get money-saving offers from our store every week and all we have to do is click on a few links and the “coupons” are loaded right on to our loyalty card. Also, make sure you watch for sales on items you can buy in bulk like paper towers, bathroom tissue, shampoo, rice and the like. We mean this seriously. 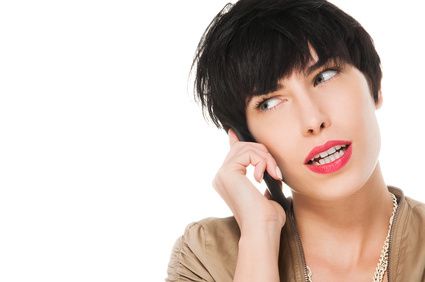 If you have a cell phone, why do you still need a landline? This can cost $50 or more a month and why? Cancel that service and you could save as much as $600 this year. Auto and homeowner’s insurance is a competitive business. Take a hard look at your insurance bill(s) then go online to www.esurance.com or a comparable site and do some comparison shopping. You might be surprised at what you find. Also, check to make sure your insurance fits your needs. Think about your coverage and your deductibles. If you could increase the deductible on your collision insurance from, say, $250 to $500 or even $1,000, you would definitely slash that bill. Check around to see if you can find a credit card with a lower rate than the one(s) you’re currently using. If you find one, call your current card company and ask it to match that lower rate. If it refuses to do so, transfer your balance to that other card. You really don’t need to spend $100 a month or so on a health club membership. If you shop around a bit you should be able to find a much cheaper one. We have a rec center near us with a great workout facility where we get a card and then buy “punches” so that we’re paying only when we actually use the facility, which puts us in total control or our spending. Wouldn’t you like an instant raise of $200, $300 or even more a month? Then pay off your debts. If you have multiple credit card debts, first tackle the one with the lowest balance. You should be able to pay it off fairly quickly. What this will do is free up money you can then use to begin paying off the credit card with the second lowest balance. Do this for a year or two – depending on how much you’re in debt – and you will be debt-free. Debt is just borrowing from tomorrow to pay for today’s spending. If you stop using those credit cards you’re paying for today, well, today and won’t have to worry about tomorrow’s debt. There is a psychological term called being “mindful.” This simply means stop and think before you do something such as pulling out a credit card. One of the worst things about credit cards is that they are too easy to use. Say that you are looking at an item costing $599.95 and you know you only have $400 in your checking account. It’s just too easy to “card it” and worry about that $599.95 later. But if you’re mindful and think about the consequences of charging that $599.95 you just might decide to take a pass and not pile on more debt. If you ask, you may find that you can get a better deal. More and more people are abandoning cable and satellite television and there are now a number of competitors in the market. Cable and Internet companies are eager to hang onto their customers. This means you may be able to get a deal. The best deals will come from your provider’s customer retention department, which is the one that you call to cancel your service. One person this recently and saved close to $50 a month. The cell phone carriers are now offering new deals including no-contract and pay-as-you-go plans. If your contract is up see if can find a plan that would save you money. If you find one then should ask your existing provider if it will match that other price or give you a better deal. If it won’t, say sayonara and move to the other plan. If you have trouble sleeping at night, it can be easy to go online and start shopping in those wee, small hours of the morning. However, if you’re not careful that type of spending can add up dramatically. One way to prevent this is to unsubscribe from all those email alerts from stores and online retailers that are offering those sweet, sweet deals. Whether you like to think about this or not, you are going to have an emergency of some kind. It could be that the transmission in your car falls out, that you’re in an accident and require hospitalization or you lose your job. If you don’t have an emergency fund, you’ll have to use debt to get through the emergency. If it’s a really serious emergency, you could end up literally thousands of dollars in the hole, which would take you years to pay off. Most financial experts say that you should have the equivalent of six months’ living expenses banked away in an emergency fund. That way when an emergency does occur, you will be able to pay for it without adding big debt. Whether you use Mint, some other budgeting app or just a piece of paper and a pen, it’s critical to make a budget and stick to it. However, it’s almost bound to fail if you are too stringent with yourself. Be realistic and give yourself an allowance for discretionary spending. Then don’t spend any more than that. 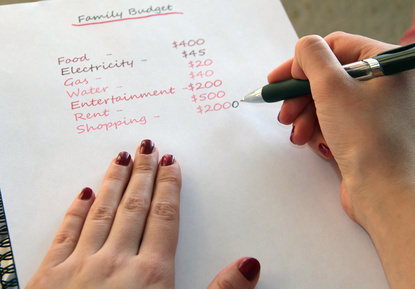 Budgeting works and if you’re not taking advantage of it, it’s time to start.